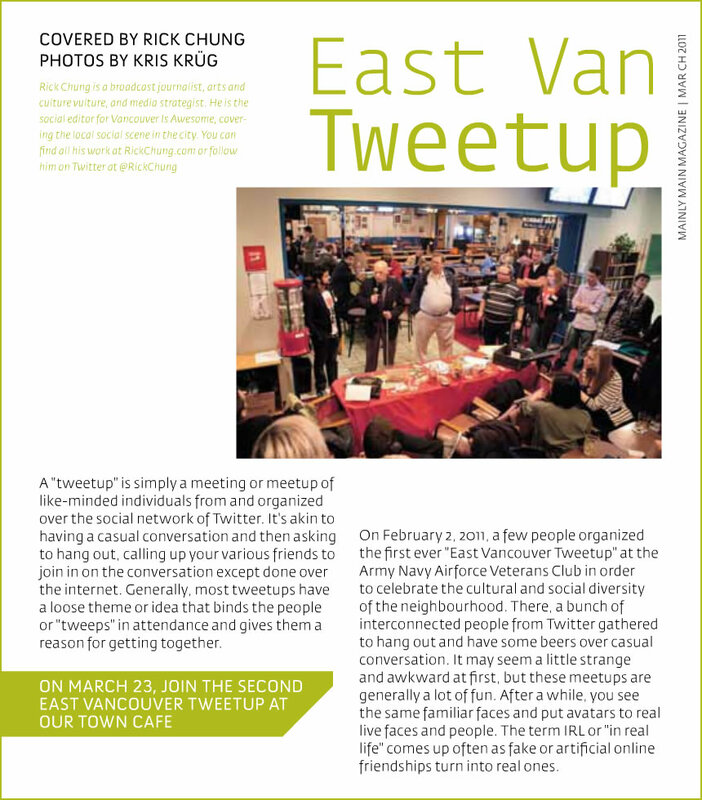 Read my short article in the newest edition of East Vancouver's Mainly Main Magazine (Issue 3 for March 2011). I cover the first ever East Vancouver Tweetup. The free print edition hits the streets on March 8. The digital version is available here.